My husband and I spent a year living on the southern edge of the Gobi desert in Inner Mongolia in China. I enjoyed the chance to get to know Mongolian culture and fell in love with the roofs! 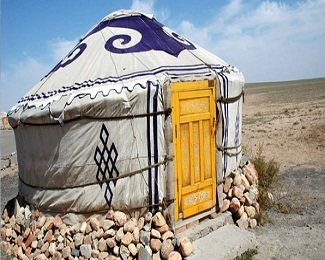 Traditional Mongolian nomadic houses are called gers (yurt is a Russian word). 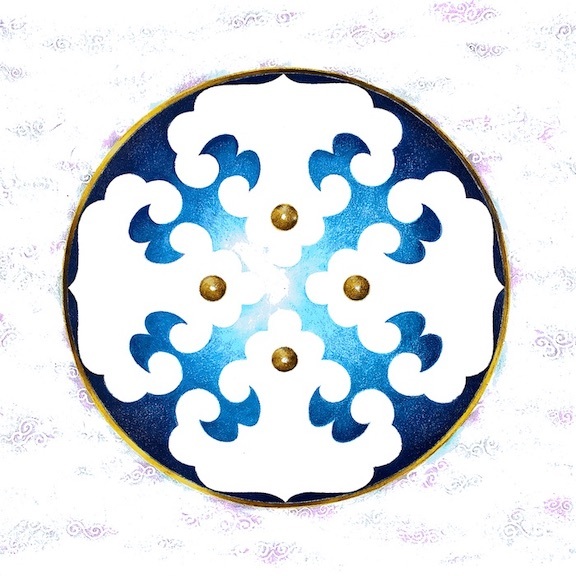 They are round, made of thick felt, with domed roofs, no windows, and a large wooden door and frame. 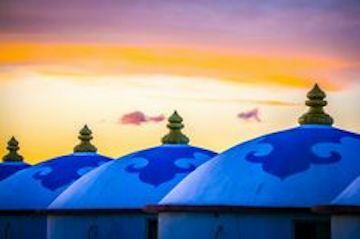 The roofs (also felt) are often decorated in blue and white, reminiscent of the clouds and huge sky of the Mongolian grasslands. 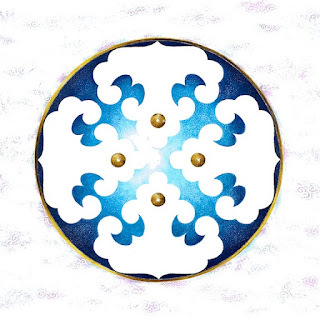 While we lived there I came up with some designs closely based on what I was seeing around me. Here are some colored pencil drawings I did when we were in China. As a memory of that part of my life I did a Mongolian roof in my Book. It's a real challenge for me to leave everything so very simple! I always want to do more embellishing. 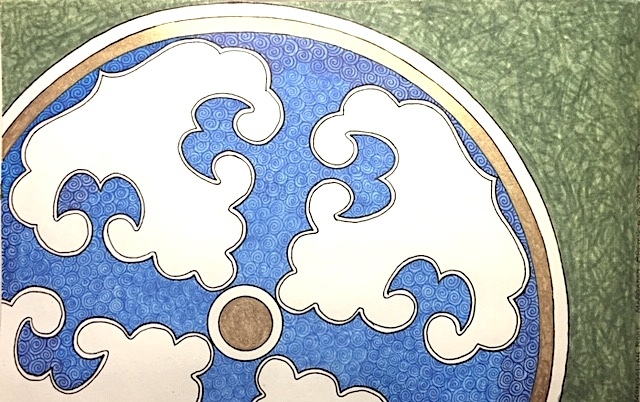 I used gold ink in the central circle and one of the perimeter rings, and attempted to simulate grass by using a scribble technique in green. What a place to be inspired. Beautiful colors and forms. I wish I could hear more about your experience. Wow - what beautiful shapes - perfect as strings to tangle around. How wonderful that the places you've lived some time ago are still feeding into your art today! Helpful info. Fortunate me I found your website by accident, and I’m surprised why this coincidence did not took place earlier! I bookmarked it.